As the age for retirement steadily increases in the U.S., you may be considering the best time to start receiving your Social Security benefits. There are benefits and difficulties to delaying your benefits as well as receiving them as soon as you’re eligible – age 62. The TRLS team can walk you through how Social Security benefits work and determine the best time to file for your benefits. A positive aspect to delaying your Social Security benefits is that the government agency will pay you an additional 8 percent for each year beyond your expected retirement age, up to age 70. Normal retirement age was 65 for many years, but after Congress determined people were living, and working, longer, revisions were made. Now, for people born in 1938 or later, the normal retirement age gradually increases until it reaches 67 for people born after 1959. Determine your normal retirement age. The advantage of filing for your Social Security benefits early is seen most often in married couples. 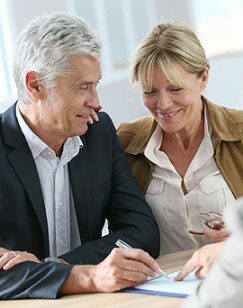 If one spouse retires early on reduced benefits, the partner can then file for spousal benefits on the other’s account. Then, upon reaching age 70, the partner can switch to their own, now larger, Social Security account. The TRLS team can help you and your spouse determine how this scenario would work for you, given your ages and individual incomes.